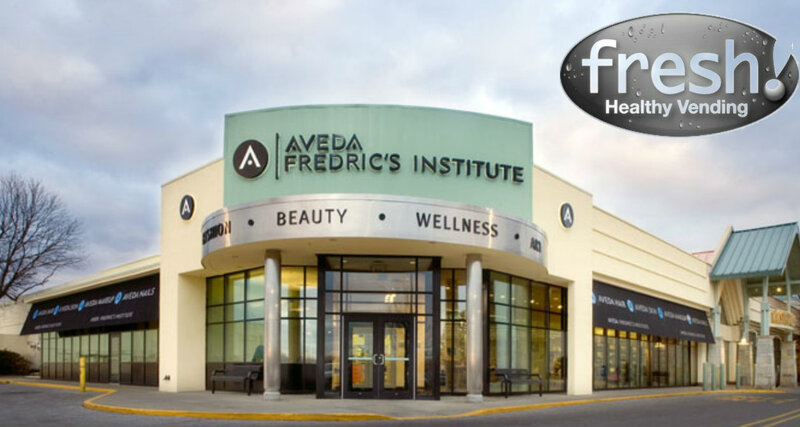 Since 1999, Aveda Frederic’s Institute has promoted total wellness as a key aspect of its mission. The private cosmetology institute now operates a 28,000 square foot facility in West Chester, where students are educated in all aspects of salon operations. So when the time came to find a nutritional solution for those students, co-owner Julie Holzberger wanted something that was consistent with the values of her brand. Ultimately, she and her husband, founder and CEO Frederic Holzberger, chose to incorporate a Fresh Healthy Vending machine as that solution. That franchisee, Jeff Journey, wasn’t always in the vending machine business. After career ventures in finance, process improvement and marketing for the medical device industry, Journey sought out a franchise opportunity that would teach his children something valuable. “We wanted to start a family-based, part-time business where our children could participate and learn about entrepreneurship and how business operates,” he said. “I’ve always worked outside of home, and now we let our kids experience first-hand the full cycle of business: from promotion/selling to new locations, to product pricing/merchandising, to supply chain, to financial analysis.” His kids are now involved in many of those aspects of operation – but why Fresh Healthy Vending? Fresh Healthy Vending is the largest healthy vending company in the world. Fresh Healthy Vending has over 200 franchise partners and 1775 healthy vending machines placed throughout the U.S., Canada, Puerto Rico and the Bahamas. Fresh Healthy Vending is dedicated to combating obesity by providing nutritious foods from healthy vending machines.